The Court of Appeals’ surprisingly liberal ruling on the Yong Vui Kong case, delivered in a written judgment on 31st December 2009 by Chief Justice Chan Sek Keong, is a welcome – if overdue – step in the right direction. 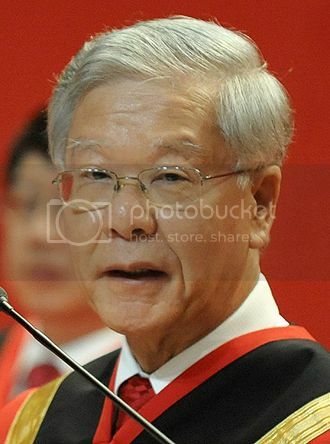 Since Chief Justice Chan’s ascension to the Supreme Court in 2006, there have been indications that he was moving the judiciary away from his predecessor Yong Pung How’s single-minded focus on speed in disposing cases and his rigid adherence to precedence, an approach which some have argued prioritised efficiency over justice. In this regard the Yong Vui Kong ruling is the clearest sign of a new direction in criminal jurisprudence. In December 2009, a High Court judge unexpectedly stayed the execution of a convicted drug mule just days before the sentence was supposed to carried out so that the latter could appeal his sentence to the Court of Appeals, despite already having his petition for clemency denied by the President. Over the state prosecution’s objections, the Court of Appeals subsequently upheld the High Court judge’s decision and allowed the plaintiff to proceed with his appeal. The Chan court’s reasoning on its decision reeks of liberal sentiment. One notable departure from the Yong court was that the Chan court in effect gave the plaintiff the benefit of the doubt, by accepting the argument that the plaintiff did not understand his legal options when he withdrew his appeal to the Court of Appeals in April 2009 before it could even be considered. It is quite likely that the Yong court, given its usual impatience with such human lapses, might have dismissed the present case on that pretext alone. The second significant departure was the Chan court’s readiness to question the constitutionality of the mandatory death penalty by hinting that it might be receptive to arguments against the usual precedents on this issue. 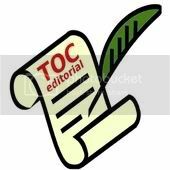 In doing so, the Chan court rejected one of the state prosecution’s favourite arguments, that putting off the execution would open the “floodgates” to abuses of the judiciary process. The court made it clear that it was in the public interest to consider the appeal. This stay of execution from the judiciary has already given renewed momentum to anti-death penalty activists in Singapore. The third aspect was an unusually firm assertion of judiciary prerogative in the face of the executive branch’s demand for the court not to obstruct the execution. Significantly, the Chan court dismissed the prosecution’s argument that it had no jurisdiction over a case that had already been decided by a lower court, reasserting its privilege to re-try cases to correct a possible “miscarriage of justice”. In a country where appeals to the highest court in the land are rare and granting of appeals even rarer, this could set a more humane tone for a system that usually brooked no questioning of its judgments. The court also declared that, regardless of whether the President concurred in the judiciary’s stay of execution, it would have been unacceptable for the state to carry out the execution while the case was still ongoing. Despite these positive developments, some caution is in order. The judgment appears to have been triggered in large measure by what might have been seen as an unwarranted intrusion by the executive into the judiciary’s prerogative and it remains to be seen whether the court will actually strike down the mandatory death penalty. Furthermore, the ruling is scant indication that the court would behave similarly in political cases against the ruling party. Still, the Yong Vui Kong ruling might prove to be a turning point in criminal jurisprudence in Singapore, something which would be enough to merit Chief Justice Chan the International Jurists Award he was given by his global peers in November 2009.